And the security landscape is in constant flux. IT leadership must rise to the challenge of managing a disparate and growing number of endpoints, operating systems, and platforms. The only efficient method of managing and securing all endpoints, their users, apps, content, and data is to implement and deploy a unified endpoint management (UEM) solution that changes and adapts with new technology, more skilled users, and increasingly sophisticated attacks by hackers. 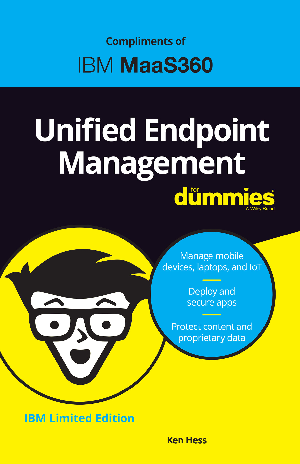 Read onward to learn why UEM is necessary, how it addresses complex problems encountered in the modern enterprise, and best practices for a successful deployment.